For non-Britons, Pancake Day is probably something that you have every month or even more frequent, if you are a fan of pancakes. For people in the UK, it is a celebration that has been going for centuries. Known also as Shrove Tuesday, Pancake Day always precedes Ash Wednesday. It doesn’t have a set date, simply because Easter determines it and the day changes every year. The name of the celebration is derived from ‘shrive’ – a word that means absolution for all sins through penance. Looking at it from this perspective, it is a Christian tradition to be shriven just before Lent, meaning admitting sins to a priest in Confession in an attempt to receive absolution. Calling the people to Confession was done with the aid of a bell called pancake bell. To no one’s surprise, modern Pancake days still rings that same type of bell. What does this day have to do with pancakes? That is an excellent question. After all, what do pancakes have to do with penance and Lent? Well, the main reason why the celebration will forever be associated with pancakes is the main ingredients used for their making – sugar, milk and eggs. If you think about it, these are all fatty foods, which don’t belong in Lent. So it became a tradition for families to clear up their pantries of all things not traditionally consumed during fasting. And what better way to do so than mix it all up in one delicious recipe? Besides, pancakes can be quite fun! There are pancake races taking place all over the UK during Shrove Tuesday. It is believed that this tradition began in the 15th century. A busy woman lost track of time in the middle of her cooking. 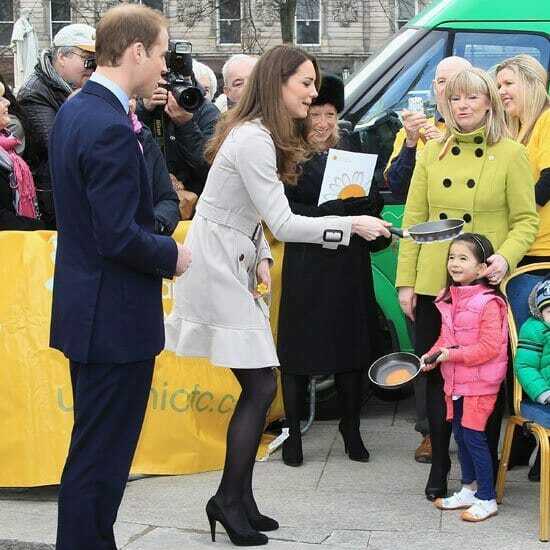 She was so caught up in the process that when the bells rang, she dashed out holding the pan and pancake. That is how pancake flipping gained a lot of popularity. There is even a world record of 349 flips in 2 minutes, held by Dean Gould, who achieved this feat in 1995. Now, if you are all hyped about the celebration, surely you would want to cook some pancakes. Do you know the best recipe? 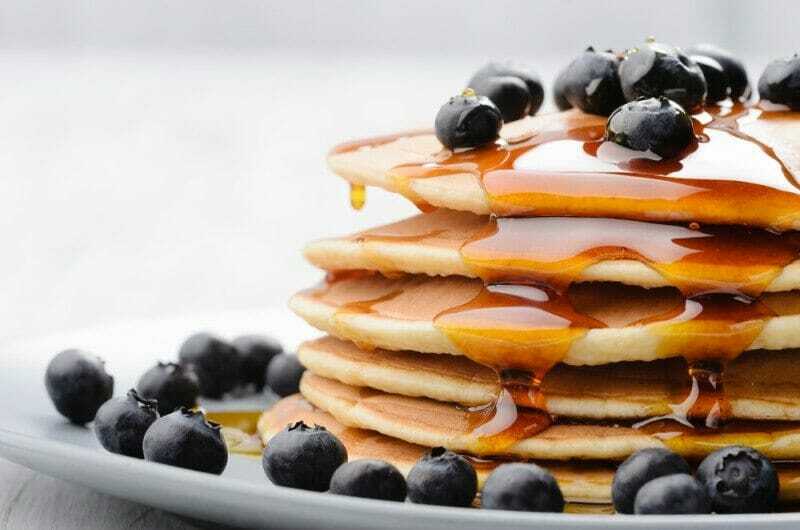 There are probably over a thousand different pancake recipes, and all of them present different flavours and ingredients to add an exotic taste. Don’t worry. You don’t need to be a culinary genius to cook some quick and delicious pancakes. Sift flour in a bowl and dig up a well in the middle. Break the egg and add a little salt with a splash of milk. While whisking the egg, introduce the flour till you have a creamy substance. Add the melted butter and the rest of the milk. You can use a blender to whisk the ingredients, but make sure the result is as thick as single cream. Brush a pan with oil and introduce a ladleful of the cream, while swilling and tipping the pan carefully to get a thin and even coat. That is how you get the cooking process off to a good start. Once you see the pancake turning brown on the underside and the edges, it should be ready to flip. Shake to ensure it is not sticking anywhere, and if you feel confident, you can flip it in the air or use a spatula to turn it. Remember: the other side only needs a few seconds so don’t leave it for long. When ready, just slide it out of the pan and proceed with another pancake till you finish your pancake mix. That sounds easy enough, doesn’t it? Feel free to add a little topping to make your pancakes even more delicious. Chocolate, lemon and sugar, butternut squash, maple syrup and many, many more make for an endless toppings conveyor you can try out. If you feel like you cannot address the aftermath of Pancake Day, you can take advantage of our special offer: book a professional one off cleaning service for a minimum of 4 hours this week. Instead of £14 per hour, you will pay only £12 per hour. Get in touch with us on 020 8884 9149 and save 15% or complete this contact form.